This Week In DOCTOR WHO History: Nov 27th to Dec 3rd | Warped Factor - Words in the Key of Geek. We start this week in Doctor Who history with a sad fact. Episode three of The Daleks' Master Plan (entitled Devil's Planet) is missing from the BBC archives, so only the 10.3 million people lucky enough to tune in on this day in 1965 would have been able to fully appreciate it. Also on this day, episode three of the 40th Anniversary animated web adventure Scream of the Shalka was released onto the BBC's Doctor Who website at noon back in 2003. 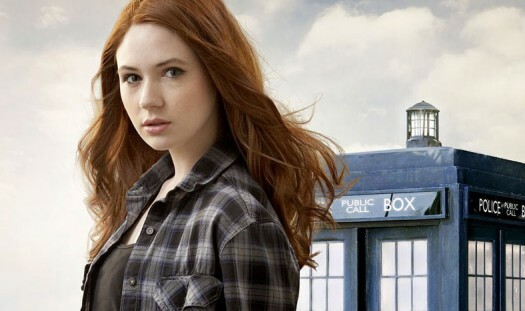 Today is Karen Gillan's birthday. Happy Birthday Pond! And let's have an actual Who episode too, shall we? How about the second part of The Dalek Invasion of Earth, entitled The Daleks, which was broadcast on this day in 1964 and watched by 12.40 million viewers. Then it's a quick TARDIS journey forward in time to 2015 for a Twelfth Doctor series nine highlight, Heaven Sent, which was watched by 6.19 million UK viewers. Two part two's from two Fourth Doctor stories were both broadcast on this day. Firstly in 1975, an audience of 11.3 million tuned in to The Android Invasion, less than half that were watching in 1980 when 5.3 million saw State of Decay. The Sixth Doctor was still on trial this day in 1986 when the first part of The Ultimate Foe (part thirteen of The Trial of a Time Lord) was broadcast in 1986 to 4.4 million viewers. The penultimate episode of classic Doctor Who was broadcast on this day in 1989. That would be part two of Survival, which drew an audience of 4.8 million viewers. None of whom liked Coronation Street! And finally on this day in 1993 the documentary 30 Years In The TARDIS was broadcast at 8:02pm, and watched by 4.3 million viewers. All still shaking their head over the recent memory of Dimensions In Time (*shudder*). On Saturday November 30th 1963 the very first Doctor Who repeat aired on BBC1. As the opening episode of An Unearthly Child had been overshadowed by the assassination of John F Kennedy, the decision was made to give it a second airing. It would go out immediately preceding part two - The Cave of Skulls. So at 5.05pm the repeat began, and records show that come 5:29pm 5.9 million viewers were watching the new episode, in which the Doctor smokes a pipe! It was a very different time. Also broadcast on this day in Doctor Who history was episode five of The Invasion, the 1968 Second Doctor adventure was watched by an audience of 6.7 million viewers. Fast forward 19 years and five Doctors to part two of Dragonfire. The whole of season 24 went out on Monday evenings, and up against Coronation Street but still managed to pull in 4 million viewers. 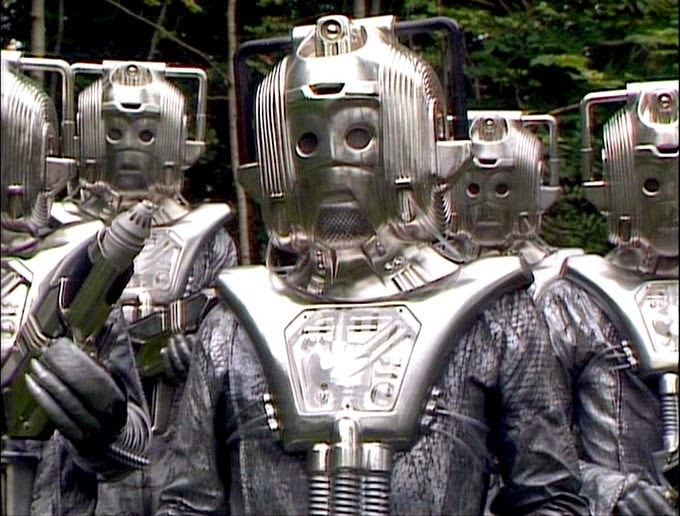 The following year, Sylvester McCoy faced the Silver Nemesis, with part two of the story going out to 5.2 million viewers, who had all tuned in on that Wednesday evening at 7:35pm. Remember that time when Tom Baker auditioned for Strictly Come Dancing? His inter-species foxtrot was to die for! 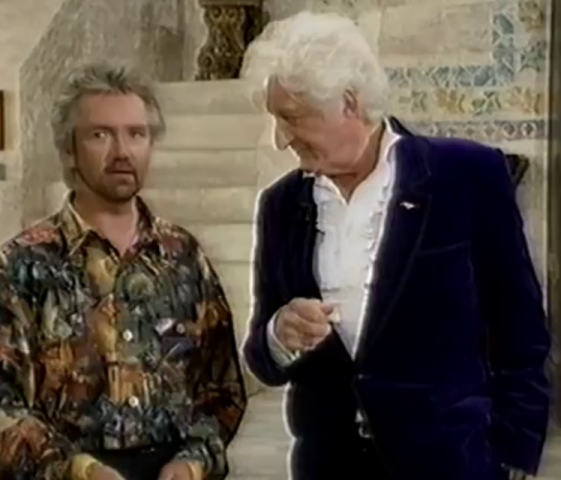 Oh, hang on - my bad, it's just a screen-grab from the only classic Who episode broadcast on this day. Back in 1979 we have part two of Nightmare of Eden pulling in a very respectable 9.6 million viewers. Also on this day, episode two of The Sarah Jane Adventures: The Temptation of Sarah Jane Smith was broadcast in 2008 at 4:35pm, and watched by 0.89 million viewers. Episode four, which is one of the surviving installments from the Second Doctor adventure The Ice Warriors was broadcast in 1967 at 5:25pm, and watched by 7.3 million viewers. But Uncle Tom easily topped that! With the promise of a Jelly Baby he enticed 10.1 million Brits to tune in for part two of the 1978 story, The Androids of Tara. 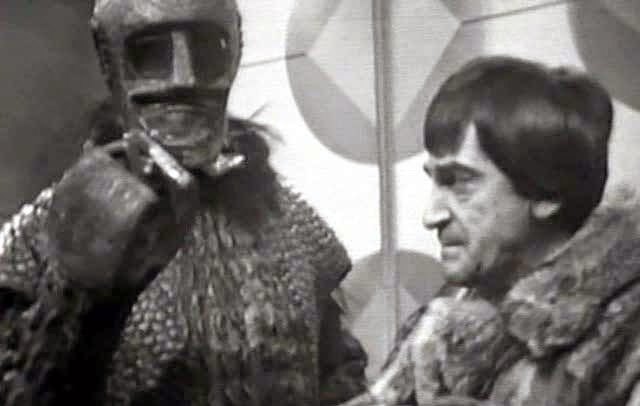 Only the 8 million people who watched episode five of Patrick Troughton's debut adventure, The Power of the Daleks, ever got to see this 1966 missing-presumed-wiped classic adventure. Then in 1977 we have yet another 'part two', this time for The Sun Makers, a story which gained a million viewers from its previous installment and has a recorded audience of 9.5 million. Why oh why do They Keep Killing Suzie? All was revealed in the Torchwood episode first broadcast on this day in 2006 at 10:00pm and watched by 1.12 million viewers. Finally for this week in Doctor Who history, make sure to visit BBC Three next Saturday December 3rd 2016 for The Lost, the eighth and final episode in series one of Class. Did you watch any of these adventures live? Go on, admit it, you watched Noel's House Party didn't you? Let us know in the comments below.